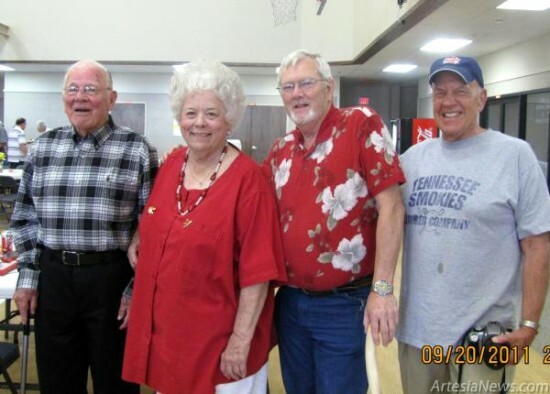 ARTESIA — Why did the senior adults of the Pecos Valley Baptist Association decide “Play Ball” would be the theme for this year’s Senior Adult Event? Because baseball is mentioned in the Bible! The book of Genesis starts off talking about the Big Inning. Later, when Rebekah walked to the well with the pitcher, and not to leave out an N.T. reference, the prodigal son made a home run. “Play Ball” was a great event, with Dr. Bill Thorn’s encouraging challenge for seniors in today’s world to reach people for Jesus and minister in Jesus’ name. It was a remarkable presentation, considering Dr. Thorn had spent five hours in the Ruidoso ER the preceding day after taking a fall. In typical Thorn fashion, finding joy in every circumstance, “I was walking with my cane in one hand and the dog on a leash in the other; as I stumbled, I discovered that a cane is a much better support than a dog.” … For the rest of the story, subscribe in print and on the web.